Zoey definitely knows what she likes and wants when it comes to clothes. 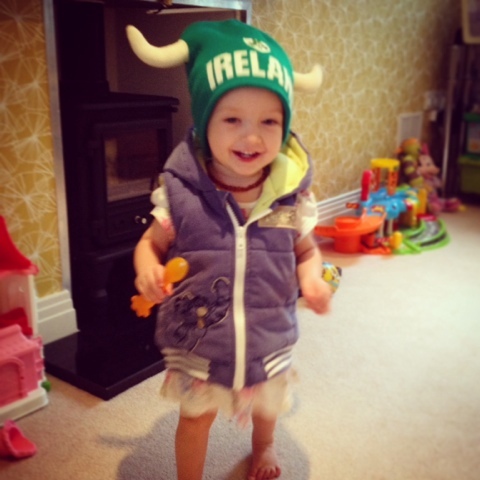 Today she insisted on wearing Ben's Ireland wooly hat and Zachary's gillet. Delighted with herself once she had them on she spent ages dancing about in the lounge. Perhaps she was perfecting her festival look for tomorrow when we head to The Big Feastival.